ASUM provides a variety of membership options to meet the varied needs of the broader ultrasound industry. 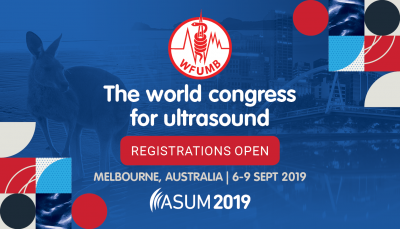 Associate Membership is available to those who are interested in the application and use of ultrasound techniques in medicine or biology who are not Medical Practitioners or Qualified Sonographers. Non ASUM students who are trainee sonographers enrolled in an ASAR accredited course; and undergraduate medical students. Corporate Membership is open to any company that seeks to market to peak ultrasound users.